Rain, though is a bliss after hot summer days, brings various kinds of health risks. Rainy season affects our immune system, increasing the chances of being infected by various waterborne diseases. Infections, allergies and indigestion are some of the common problems faced during rainy season. 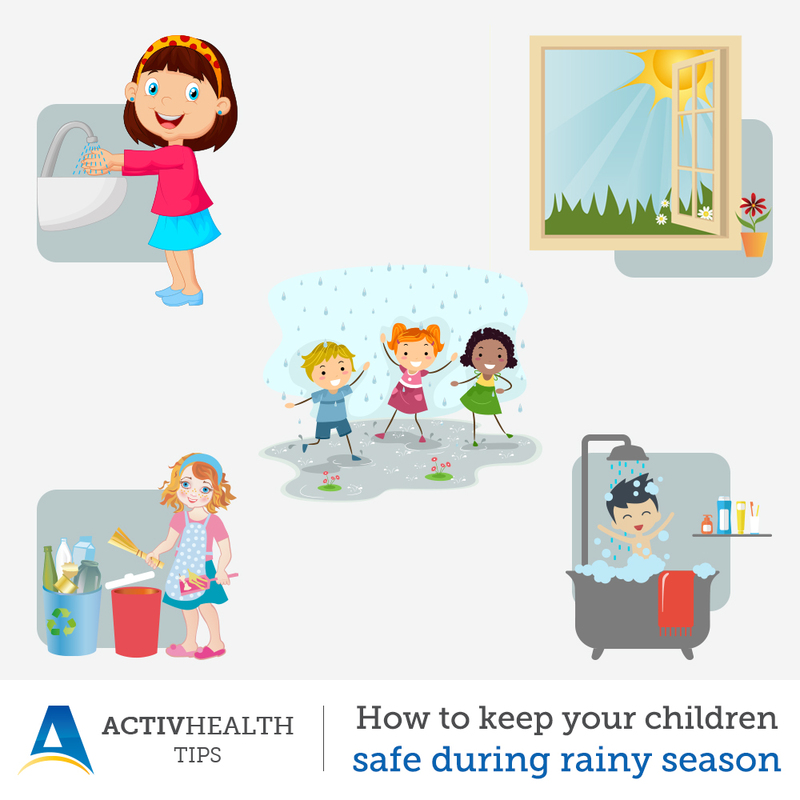 Especially for children, the rainy seasonbrings both fun as well as various health related risks. Splashing on the muddy puddles and playing with paper boats, rainy season excites children. They love to run outside and get dirty in the rain. However,rain also comes with humid weather, mosquitoes and other waterborne diseases. Therefore, you should be careful about your children’s health during this period. During rainy season, you have to be extra careful about your child’s eating habit. Contaminated food and water can easily spread diseases.